Over the next 10 years, dairy farmers will face numerous challenges which will test the resilience of their businesses to the max. 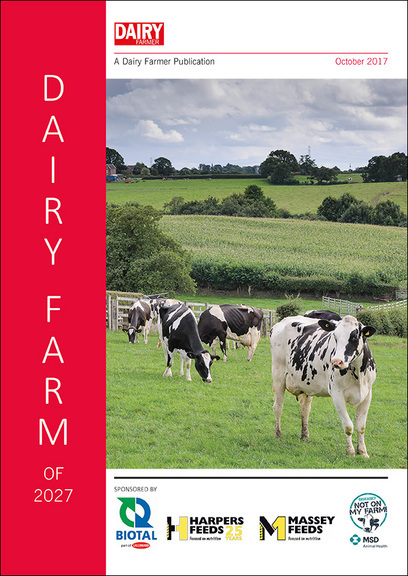 Although there are lots of unknowns, this supplement identifies some of the challenges and provides practical advice and solutions for dairy producers wanting to protect their businesses into the future. Brexit will be key in setting the economic environment over the next 10 years and will have a significant impact on a multitude of areas including labour supply and farm subsidies. With a trade deficit in dairy products, Brexit analysis suggests the UK industry is likely to be one which benefits from leaving the EU in 2019. The fact Stirling is likely to be weak over the next five to 10 years is also likely to benefit the UK’s competitiveness when it comes to exports. However, milk price volatility is also likely to continue. Although impossible to predict, another two or three price dips could be possible over the next decade. At the same time, farm support is likely to change dramatically, which could put substantial pressure on some dairy businesses. The Anderson’s Friesian Farm Model clearly illustrates how important farm subsidies are for the average British farm. This example shows without the Basic Payment Scheme (BPS), the average farm would not have made any profit during the poor milk price years of 2015- 2016 and 2016-2017. At present, farm subsidies have been guaranteed at their current level until 2022. However, Richard King, head of business research at The Andersons Centre, believes it is highly likely support will reduce substantially beyond this point. There is also a chance farmers will need to ‘jump through more hoops’ to receive support. 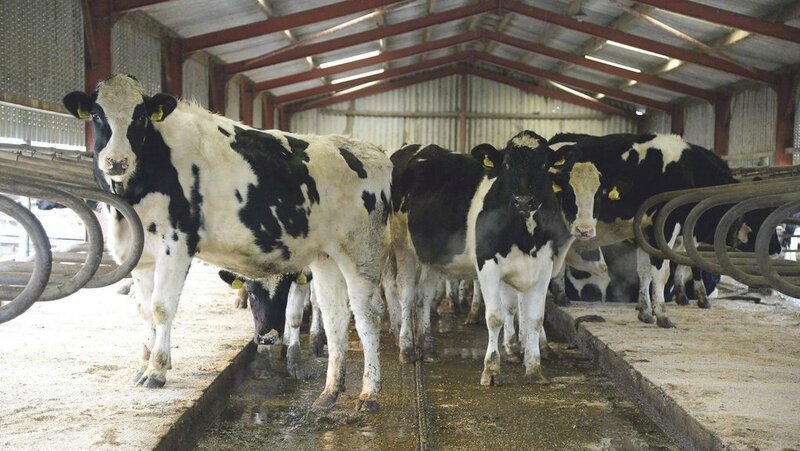 John Allen, of Kite Consulting, also predicts continued milk price volatility over the next 10 years, however he believes an increase in the use of futures markets could help farmers to cope with such ups and downs. These types of agreements enable farmers to sell their milk at a fixed price into the future, with the processor taking the risk. “Farmers won’t be trading themselves but may choose to sell 25%-75% forward and hedge for one or two years,” explains Mr Allen. With Muller having introduced futures to its direct suppliers and Yew Tree Dairy also offering similar options, Mr Allen says it is likely other processors will follow over the next 10 years. This article belongs to the Dairy Farm of 2027 series which looks at what the future may hold for the industry. The Government’s announcement free movement of people will end when the UK leaves the EU in March 2019 means labour will be a significant challenge for dairy farmers moving forward. A YouGov survey of dairy farmers carried out by the Royal Association of British Dairy Farmers (RABDF) in 2014 and 2016 highlighted a growing reliance on overseas labour. In fact, those employing staff from outside the UK increased from 32%-56% over five years. With access to foreign labour likely to become more difficult, sourcing workers from within the UK will be increasingly important. However, with few UK adults willing to consider dairying as a career option (see graphic, p7), attracting suitable candidates will be difficult. Over the last 10 years, animal feed prices have fluctuated to varying extents due to global and domestic supply and demand – a pattern which is only likely to continue into the future. Millie Askew, senior analyst at the AHDB, highlights weather as one of the major contributing factors to the supply and demand story, which is clear to see in feed wheat, barley and soya prices over the last decade. When Russia experienced an extreme hot summer in 2010 and introduced a subsequent ban on grain exports, global and domestic cereal prices went through the roof. Then, in 2012 a wet summer in the UK resulted in a lower quality and smaller crop leading to large peaks in cereal prices. At the same time, droughts across parts of the US soya belt caused soyameal prices to rise to more than £440/tonne. More recently, large global and domestic cereal crops have kept prices relatively low. Miss Askew adds: “However, last season [2016/17], domestic wheat prices climbed, driven by a relatively smaller domestic crop, combined with strong demand for feed wheat, with a backdrop of further currency volatility. Demand from developing countries will also add to the global supply and demand picture, while a weakened pound could make bought-in proteins unattractive. Pressures on farmers to reduce antibiotic use in livestock has grown in momentum in recent years in response to concerns over the potential link between resistance in humans and use in farm animals. 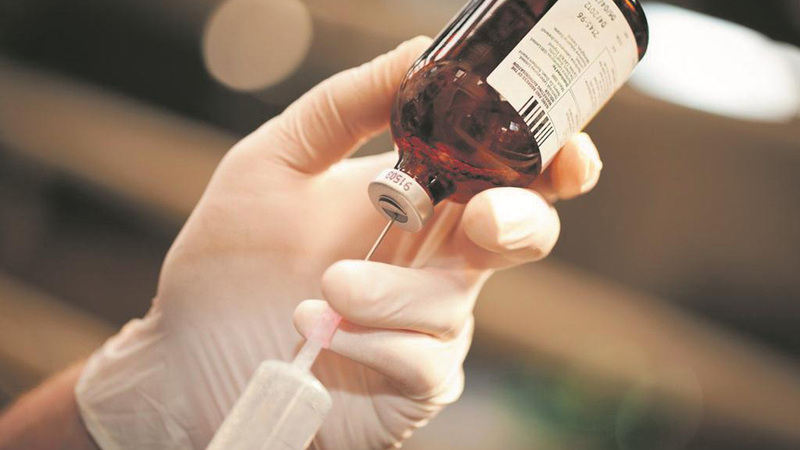 Consequently, there have been a number of reports detailing the need to limit the use of ‘Critically Important Antibiotics’ (CIA) in livestock. These are antibiotics used to treat certain human infections where all other antibiotics have failed because of resistance. These include fluoroquinalones, third and fourth generation cephalosporins and, more recently, colistin. Many vets and industry parties have been working to improve antibiotic stewardship and big strides have been taken. In the last few months, the drive for more responsible use of antibiotics in livestock kicked on a gear with the release of ‘The Review on Antimicrobial Resistance’, commissioned by the Government and written by economist Jim O’Neill in 2016. As a result of the report, a new target of 50mg of antibiotic per 1kg of meat, as a cross species target was set for 2018 – or a 19% reduction in use compared to an average use of 62mg/kg in 2014. The dairy industry is currently working on its own targets, which are due to be announced in October this year. John Fitzgerald, secretary general of RUMA, says reviewing antibiotic use is vital in order to prevent the farming industry going the same way as human medicine where some infections are now failing to respond to antibiotics. With this in mind, he urges all vets and farmers to assess their use of antibiotics and avoid unnecessary, preventative treatments. “People need to think about how they use antibiotics and specifically the use of antibiotics which may have become routine. It’s important to challenge why you are doing it and what the alternatives are, while maintaining animal health and welfare,” he says. Demands from consumers and processors are only likely to grow in the coming years, with a growing number of supermarkets now putting in place guidelines on antibiotic use for their suppliers. There is also the possibility the dairy industry will go the same way as the pig industry and introduce an ‘electronic medicines handbook’ where farm antibiotic use is recorded centrally to enable tracking and benchmarking. With Scandinavian countries already taking the lead in terms of antibiotic recording and monitoring, taking such steps could be vital to demonstrate the UK’s commitment to responsible medicine use during Brexit. The voices of dairy activists have been growing louder in recent years and are only likely to increase. Sensationalised, scare mongering headlines, which fail to bring a balanced view of the realities of dairy farming are now common. Headlines like the Guardian’s ‘Dairy is scary’ article and the Daily Mail’s use of phrases like ‘Frankenstein farming’ are now common and add to the misunderstandings among consumers about where their food comes from. This means dairy farmers will need to be prepared to communicate the realities of dairying and bring the consumer on-board – something which will be even more vital as we look to compete with cheaper imports post-Brexit. Competition with dairy alternatives such as soya and almond ‘milk’ will also add to the challenges. However, there are many positives. Increasing global demand and consumer interest in where their food comes from provides scope to promote dairy post-Brexit. Increasing positivity around the benefits of dairy – and particularly butter – provides the industry with huge opportunity. So too does the UK’s global leading welfare standards, which will need to be heavily promoted as part of the British ‘food brand’ after leaving the EU. The impact of climate change on weather volatility is going to create issues for farmers into the future. British producers are already experiencing, warmer, longer autumns, wetter summers, flooding and warmer winters. 2012 brought with it the wettest summer on record, leading to lengthy forage shortages, while 2013/14 saw extensive, destructive flooding on the Somerset Levels. In fact, an NFU survey in 2015 revealed two-thirds of farmers had noticed an increase in extreme weather consistent with the climate change impacts predicted by scientists. To cope with such weather fluctuations, farmers may well have to be open to changing cropping patterns and management. At the same time, continuing to maintain the environment will be crucial for all producers, particularly considering the likelihood any future farm support will be more closely linked to environmental management. As more supermarkets place demands on farms surrounding monitoring and reducing their carbon footprint, the pressure on farms to demonstrate they’re producing food in as environmentally-friendly way as possible, is also only likely to grow.